E. King Gill Award recipients Carolyn and Tommie Lohman '59 were honored at halftime of the Texas A&M-Auburn football game Saturday at Kyle Field. Last month, the Lohmans were named this year's E. King Gill Award winners by the 12th Man Foundation. 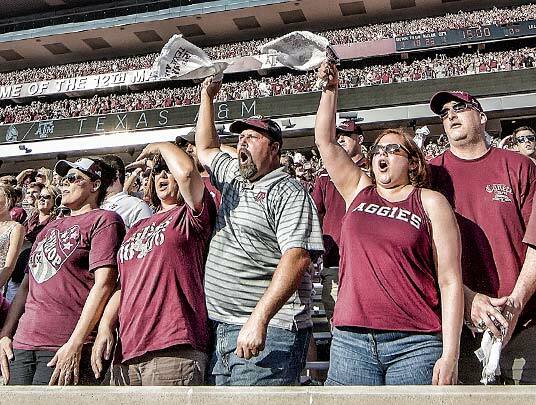 The award is the most significant recognition given by the Foundation and honors a person or couple who has been an influential investor and ambassador for Texas A&M Athletics. Saturday, Carolyn was joined on the field by her grandson, Cason Lohman '20. The ceremony will take place immediately before the Fightin' Texas Aggie Band. 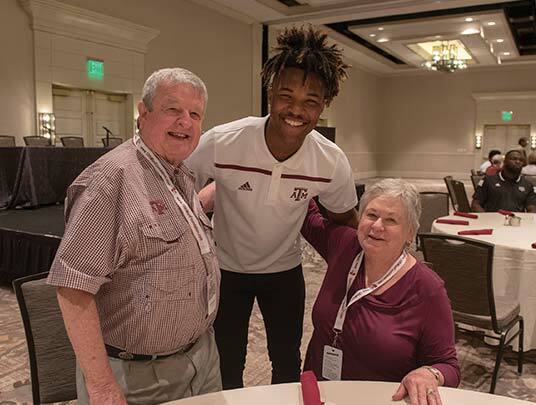 "Tommie and Carolyn have had a tremendous impact on Texas A&M Athletics and Texas A&M University," said 12th Man Foundation President and CEO Travis Dabney. "Their support of our university ranges from developing a learning community for freshmen in the College of Education and Human Development to establishing a program to help student-athletes excel in the classroom. 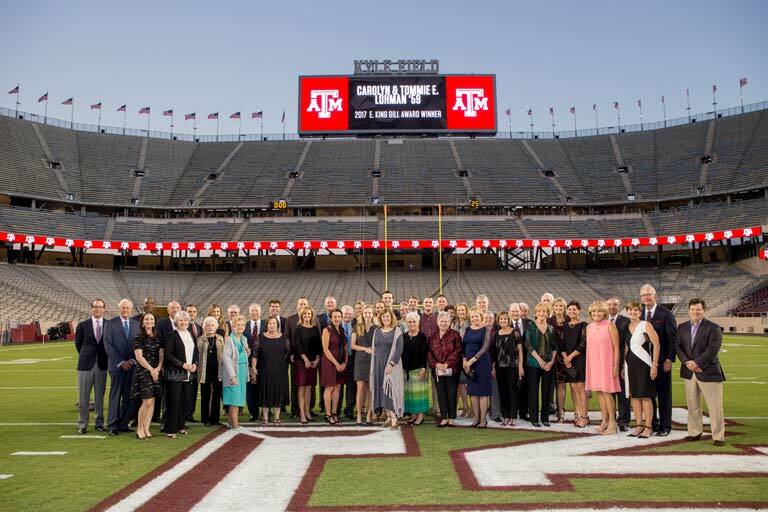 They are exceptional donors and exceptional Aggies, and they embody everything the E. King Gill Award represents." Tommie, who passed away in 2012, served on the 12th Man Foundation Board of Trustees from 1999-2004 and served as Chair in 2003. While on the Board, Tommie was instrumental in creating the Foundation's Major Gifts Office, which has been a vital part of fundraising for scholarships, programs and facilities. 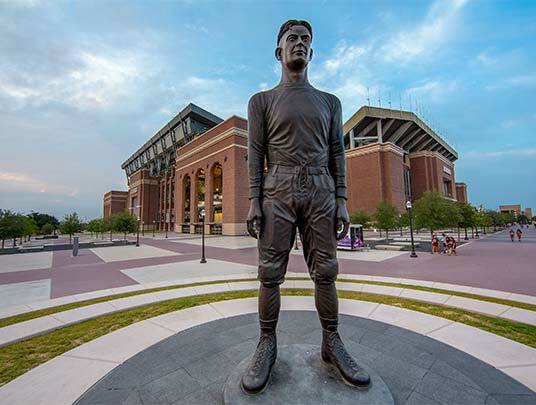 The Lohmans also contributed through their actions by providing lead gifts for magnificent entryways to two of A&M's most prominent facilities. 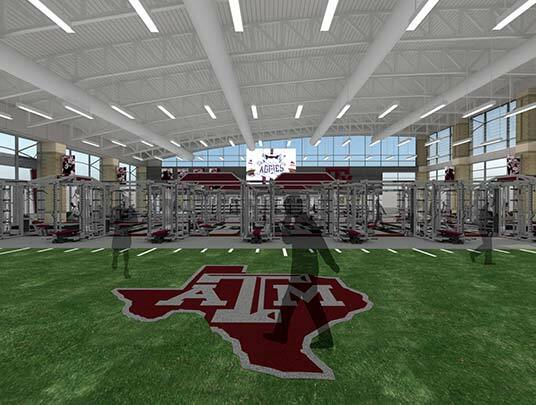 The Lohman Lobby at the Cox-McFerrin Center for Aggie Basketball opened in 2006, while the Lohman Center, located at the Bright Football Complex at Kyle Field, opened in 2013. They have also been significant donors and advisory council chairs in the colleges of Engineering (Tommie) and Education and Human Development (Carolyn). The E. King Gill Award winner is selected based on financial commitment, exemplary service and leadership as a volunteer advocate, a high level of ethics and distinction as a role model. 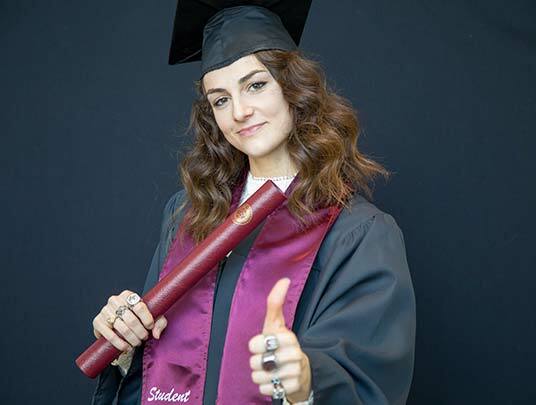 This is the eighth time the award has been given. "Tommie and Carolyn have had a tremendous impact on Texas A&M Athletics and Texas A&M University."